This question has probably been asked a few times over the past decades by early American Flyer (AF) collectors. The American Flyer Manufacturing Company (AFMC) located in Chicago, Illinois from 1907 to 1940 never had a great grasp on quality control. Company profits and ‘get it done on time’ were two of Coleman’s business practices. William O. Coleman, Sr. and later, his eldest son W. O. Coleman Jr., ran the AFMC from its inception in 1907 until its sale to Mr. A.C. Gilbert in 1938. 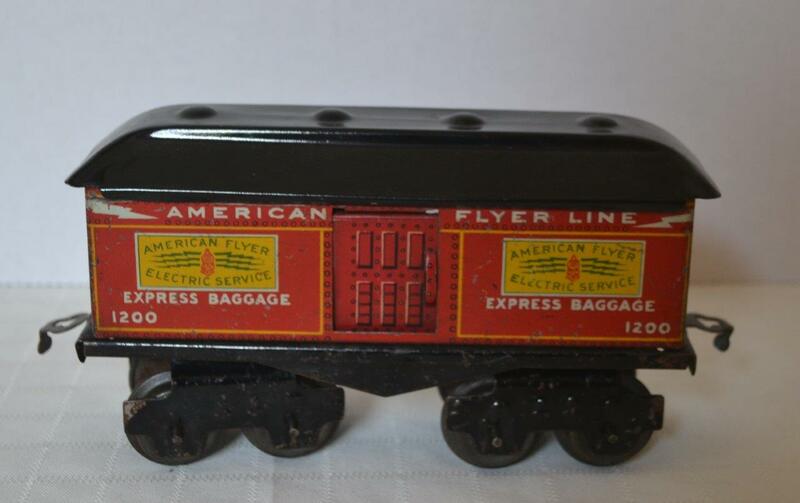 The AF tinplate trains of the 1910s to 1930 were made using lithographed tinplate (thin tin) materials. They were printed on large flat sheets with as many passes as colours required. 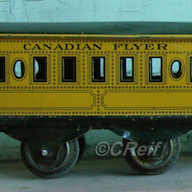 The entire quantity of the passenger or freight car was printed as per the factory orders. These sheets could number in the hundreds or even low thousands depending on the production run and commonality of the item. Once printed, these lithographed sheets were then delivered to the press room. In the press or stamping process each sheet had its individual component pieces cut or punched out. These were then put in appropriate shelves or bins for scheduled assembly. 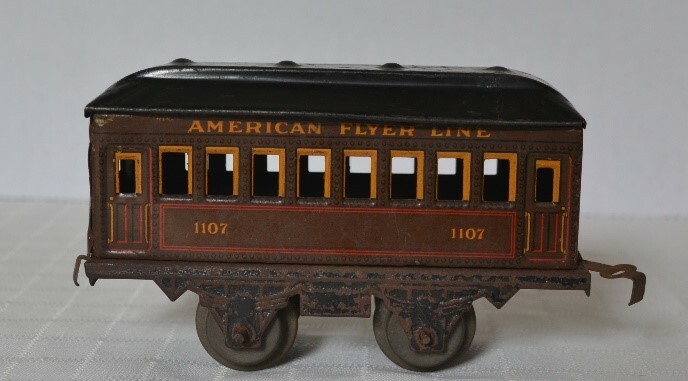 Many of the 1910’s to ‘30s toy train coaches or freight cars were assembled in ‘els’, one side and one end, bent into an el and then assembled using the familiar slot and tab construction method. 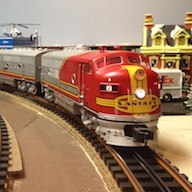 If the factory order was for say 1,000 of no.1107 Union Pacific coaches to go in a Set Box, usually a small extra amount of between 6 -10 units would normally be available to cover spoilage. Once each ‘el’ was punched out, they would be separated to road name or coach number to avoid mismatching of colours and road names. Once the sheets for a particular car had been cut, they would move onto the assembly line where workers – usually women in those days because of their nimble hands and also being a lower paid position – would assemble the car with the two ‘el’ halves the floor with couplers, trucks and wheels added, and finally a roof fitted to complete the car. 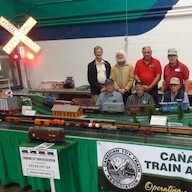 Over the years, many train collectors of early AF have found that AFMC issued mismatched cars in the 1910’s – 1920’s. They quite often have the correct colour and number for the sides but different road names. I have often wondered why and just where did that other coach half go? The assembly line just put the two sides on each coach floor from the parts provided as long as it fit, not looking or even caring that it was correct. At the end, the completed product would be inspected and into the Set Box. Production output was fast. This work, usually done by women was repetitive and boring. Did the floor foreman notice? Probably not, as this would mean looking for the correct ‘el’, and if 1-2 or a few more were produced, the customer’s order was filled on time and that would be their most important responsibility. 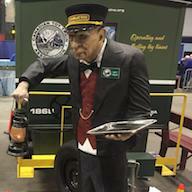 To slow or even stop the assembly line would mean idle time and a loss of company profits. Could there have been a Friday afternoon production rush? Or could these be an early Monday morning production? Or the end of stock to use up? Or out of matching stock? 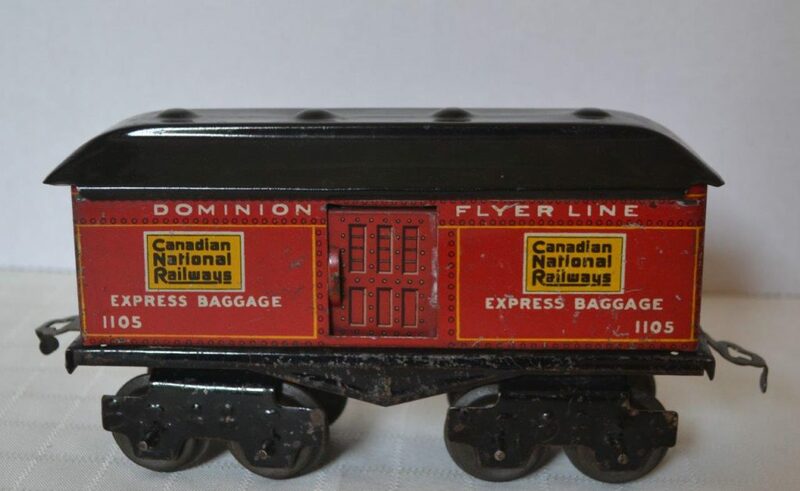 AF, like many other toy train manufacturers, threw no usable part out to the bin. Many questions to consider. 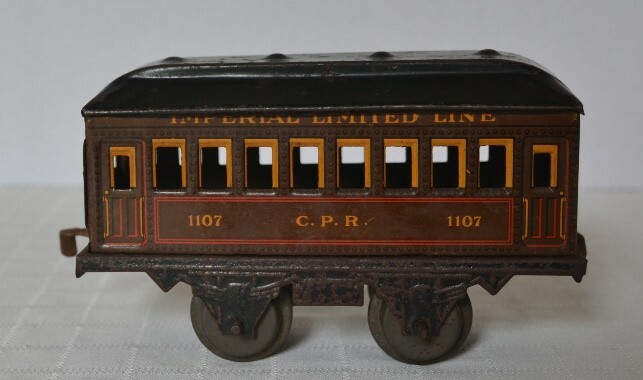 Over the decades, many enterprising train operators and collectors have also assembled mismatched coaches to either better the appearance of a rusted one side, to improve a poor floor, or for other reasons. The switching of a roof to improve the overall appearance of a passenger or freight car is a very common and continuing occurrence. One thing to consider where the body is changed, or is a distinctly different colour shade, is that some of the floor tabs are usually broken off or else the tabs are marked and scratched to indicate a noticeable alteration. Also, altering the body of a known ‘rare’ car with a common one, does not make sense, unless it was done at the factory where, at the time, every train product was catalogued, priced and rarities were unheard of. A common item for an AF factory mismatch production would be using coach sides of current or near current production. Hold overs or “lost” items from decades of being out of production may not fit, or could stick out like the proverbial ”sore thumb”. Were these factory errors intentional? No, I don’t believe so, just production occurrences. So where did the other half go? Most likely onto another coach which would lead one to believe that there should be doubles of a factory mismatch. Here are a few examples of AF factory produced mismatched coaches with the floor tabs untouched. Imperial Limited Line/American Flyer Line – Both issued in 1916 only with the yellow letterboard. ACKNOWLEDGEMENTS: I would like to thank Leon Sweet for his comments and Charles Reif for his reading and commenting on this article.